Ivolv Technologies is a leading digital technology and analytics solution provider, serving the B2B marketplace in UK and Europe. The clients served include a broad mix of private, public, and governmental organisations, across sectors like Banking, Finance, Insurance, Retail, Logistics and Supply Chain. Verinite is a Consulting & IT services company catering to the clients in the banking domain. The core domain expertise is concentrated towards cards, payments and lending solutions. Verinite defines, designs, manages, develops, tests and delivers technology enabled business solutions. Verinite has its offices in India and the UK. They are currently supporting banks and financial institutions in emerging markets – South East Asia, South Asia, Middle East & East Africa. k-reSolutions is a “boutique” business consulting firm based in Thessaloniki, Greece. Specialized in the areas of corporate restructurings & distressed corporate loans portfolio assessment and management (focus on SMEs and very small businesses). Angstrohm Solutions is a boutique end-to-end IT Services and solutions company helping clients usher in advanced technologies for better outcomes. Between its leadership and advisory board, Angstrohm packs decades of experience in Banking, Financial Services & Insurance (BFSI) & Information Technology (IT). Level 13A, Wisma Mont Kiara, Jalan Kiara, Mont Kiara, 50480 Kuala Lumpur, Malaysia. Quality Solution is a reliable partner of Indus Software Technologies. Quality Solution is the leading company in the developing marketing communications and IT consulting field of Azerbaijan and intends to develop and deepen the existing cooperation ties with Indus based on principles of mutual respect, trust and benefit. Its mission is to assist its customers to promote, develop and also to be successful in business by delivering the comprehensive range of IT consultations and marketing communications services based on innovative approach and business solutions. As a company, we do believe that our activities will be useful for business communities, society and economy as a whole, and we adopt it as our core mission to give a contribution to overall progress. 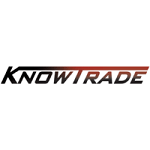 KnowTrade headquartered in Luxembourg and with a presence in Switzerland and Spain. Enterprise Software Development, creating ERPs and customized applications to enable digital-ready companies and the latest IoT and blockchain implementations to increase the reliability of the data. Between its references, knowtrade had helped Government agencies in several European and South American countries, most of the well-known banks in mission-critical environments and worldwide telecommunications firms. Indus closely works with its partners globally to deliver high value solutions across the Banking and Finance, Telecom and Insurance industries. We provide all round support and truly believe in a win win approach to develop lasting business partnerships.